The better way to learn is to do it! I do not write spanish at all. I like to have hands on experience. 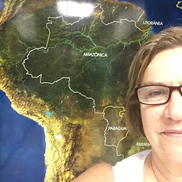 I did some academic work on international relations, environment studies and work for many years with environment public policies in Brazil. Experiences on banding migratory birds, seed house, alternative food organic food and I am looking for new experiences on this areas. SPA or Resort that grow their own organic food to their clients and guests will be interesting. I do yoga. I work with environment issues many years and did some volunteer on bird banding, seed house and a bit on permaculture. I like hand on and I am very curious to work at SPA which works with organic meals and Resort on this terms too. Ceramic work also interest me. Intolerant on wheat and few nuts. No vegetarian but live without meat and smoke.